A tag at Ron Martin's booth at the Badger Military Collectible Show in Waukesha, Wis., clearly identifies him as a licensed gun dealer. 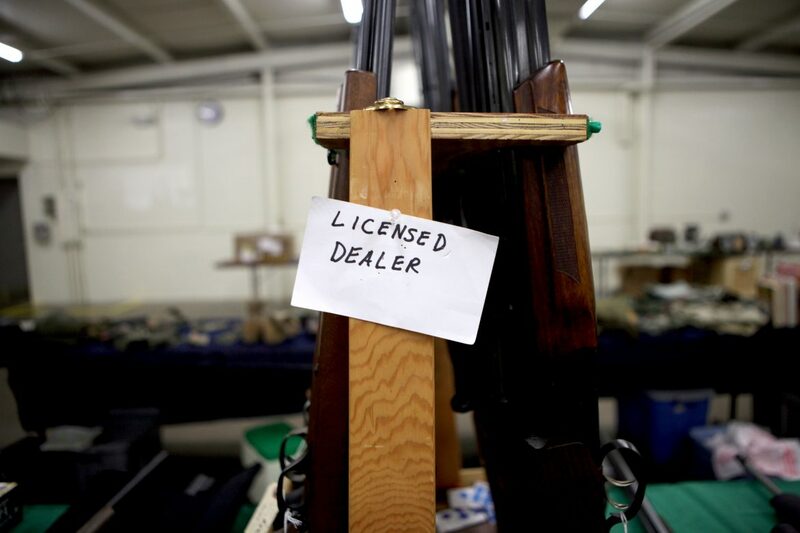 Martin, who has been a licensed dealer for 33 years, runs background checks on any potential purchaser of his guns. Gun purchasers in the United States must pass a background check if they are purchasing from a licensed dealer. Guns have been a hot topic of debate over the past few months, with passionate participants arguing for and against stricter gun control. One common argument for stricter gun control is that the rates of gun violence in the United States are much higher than in other countries because other countries have stricter gun control laws. The University of Washington’s Institute for Health Metrics and Evaluation tracks deaths by country and cause every year. We used that information about the number of violent gun deaths per 100,000 people in 2016 to compare the United States to other democracies including Japan, United Kingdom, Canada. Brazil and India. The basis for our evaluation is comparing the amount of violent gun deaths in each country and the current laws and regulations on guns in each country. These deaths exclude armed conflict, accidents and self-harm. In the United States there were an average of 3.85 violent gun deaths per 100,000 in 2016. This is significantly worse than the other countries on our list except Brazil. The United States has the 31st highest rate of deaths due to gun violence of all the countries in the world. The United States falls ninth highest socioeconomic status in the word, but every other country above it has lower rates of gun violence. The ease with which one can buy a gun differs from state to state, so the difficulty in obtaining a gun varies, but here is some general information. Age: Federal law requires a person be 21 to purchase a handgun, but he or she can purchase a long gun at age 18. Some states have laws that either increase or decrease the minimum ages. For instance, in Minnesota, 14-year-olds can purchase a long gun if they have a firearm safety certificate. Licensing: Most states do not require a license to possess or purchase a firearm. 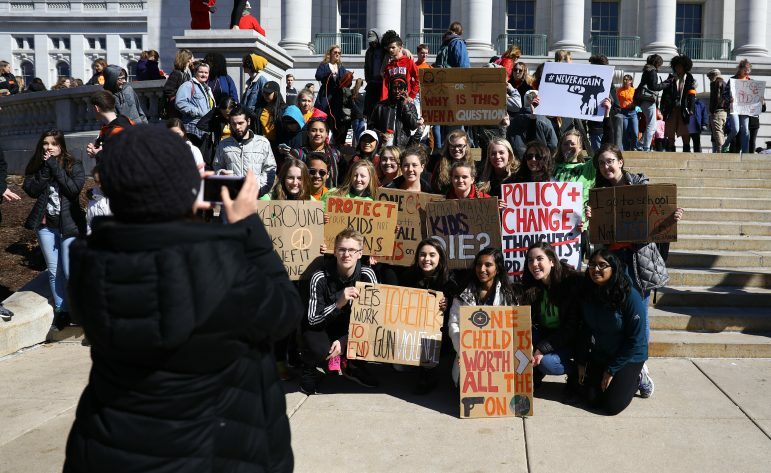 Students and citizens rally against gun violence as they march to the Wisconsin State Capitol building on March 14, 2018 in Madison, Wis. Background checks are not required in Wisconsin when purchasing from an unlicensed dealer. Background checks: Purchasers must pass a background check if they are purchasing from a licensed dealer. Background checks prohibit felons, domestic abusers and some others from purchasing firearms. When it comes to purchases from unlicensed dealers, background checks are required only in 19 states, not including Wisconsin. Training: There are no federal firearm safety training requirements, although six states plus the District of Columbia require safety training or the completion of an exam in order to purchase a firearm. In Japan, there were .04 violent gun deaths per 100,000 in 2016. This is the second lowest rate in the world. Singapore takes the No. 1 spot with .03. A person is 96 times more likely to die by gun violence in the United States than he or she is in Japan. Japan has the Firearm and Sword Possession Control Law, which prohibits possession of a firearm, handgun parts, handgun ammunition or imitation handgun unless otherwise authorized by a specific provision. Age: Minimum age to own a firearm is 18. Licensing: All gun owners must have a gun owner’s license. In order to obtain a license, a person must have a genuine reason for wanting a firearm. A license has to be renewed every three years. Background checks: Background checks are completed for all applicants. Background checks consider criminal, mental health and addiction records. Training: A firearms safety course is required. At the end of the course, participants have to pass a test. In the United Kingdom there were .07 violent gun deaths per 100,000 in 2016. A person is 55 times more likely to die by gun violence in the United States than he or she is in the U.K. Firearm policy is based on the assumption that owning a gun is a privilege instead of a right. Age: In the United Kingdom, a gun ownership license can be obtained at age 14, a person can purchase a firearm at 17 and a shotgun at age 21. Licensing: All gun owners must have a gun owner’s license. In order to obtain a license a person must have a genuine reason for why he or she wants a firearm. A person must provide character references. Training: A firearms safety course is not required. In Canada, there were .48 deaths per 100,000 in 2016. A person is eight times more likely to die by gun violence in the United States than in Canada. Canada is considering stricter gun controls. The proposed laws would have more comprehensive background checks and ensure a valid license is used when firearm ownership is transferred. Age: The minimum age for gun ownership is 12 with certain limitations or 18 without restrictions. Licensing: All gun owners must have a gun owner’s license. Background checks: Background checks are completed for all applicants. Background checks consider criminal, mental health, addiction and domestic violence records. In addition, an applicant’s spouse, partner or next of kin must be interviewed before a license can be issued. Training: A firearms safety course is required and applicants must pass a test. In Brazil there were 19.34 violent gun deaths in 2016. A person is five times more likely to die by a violent gun death in Brazil than in the United States. Age: The minimum age for firearm ownership is 25. Licensing: All gun owners must have a gun owner’s license. In order to obtain a license, a person must have a genuine reason for why he or she wants a firearm. Background checks: Background checks are completed for all applicants. Background checks considers criminal, mental health and employment records. Training: A firearms safety course is required, and participants must pass a test. In India there are 0.88 violent gun deaths per 100,000. 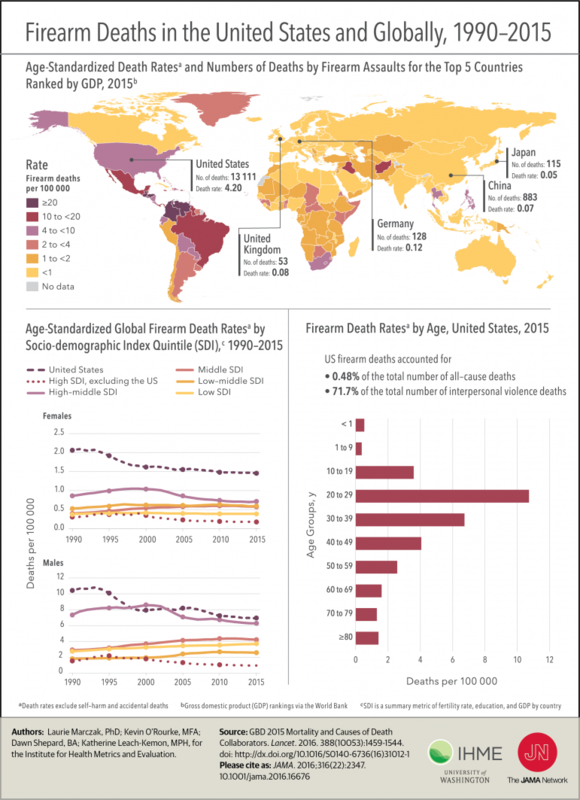 A person is four times more likely to die by a violent gun death in the United States than he or she is in India. Firearms are regulated by multiple government and police services in India. The right to private gun ownership is not guaranteed by law. In addition, no civilian is allowed to have an automatic firearm. Private possession of handguns and semi-automatic assault weapons are allowed with a license. Age: The minimum age for firearm ownership is 21. Licensing: All gun owners must have a gun owner’s license. In order to obtain a license a person must have a genuine reason for why he or she wants a firearm. Background checks: Background checks are required for all applicants. Background checks considers criminal, mental health and domestic violence records. Training: A firearms safety course is required and participants must pass a test. Overall of the six large democracies examined, the United States has the least restrictive gun control laws and the second highest rate of violent gun deaths per 100,000 people. Senate District 10 candidate Diane Odeen claimed on a radio debate that Wisconsin would save more than $1 billion over the next six years if the state accepted federal funding to expand Medicaid. The Observatory checked it out.